Is your love tank running low? Need a filling? But do you know exactly what you need to feel loved and appreciated? There are five ways. Know which receiving language speaks to you. Know how you can receive love to the full. 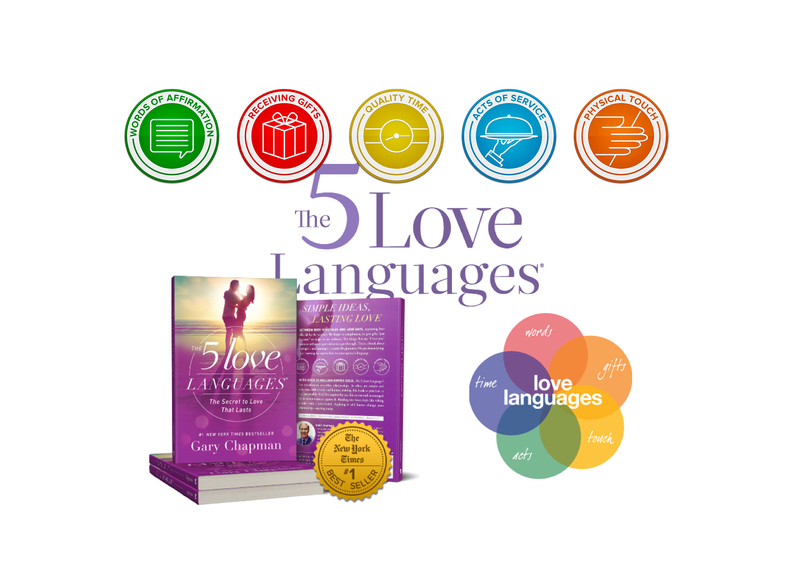 The exercise below is based on Gary Chapman’s book on the five love languages. Your receiving love language may or may not be the same as your giving love language. Here, you will hopefully be able to identify your receiving love language. Take this assessment, then let your friends, family and loved ones take it too. This will also give you a clue to understand how others may have a different way of feeling appreciated, because your love language may be different from the person next to you. And that’s okay. Write a mark “/ ” per letter every time it’s the answer, and tally after. *Note: The touch or physical contact referred to below can be from a friend, colleague or family members and no malice is intended. It is not about passionate romantic touch. A. someone I love sends me a loving note, text, or email for no special reason. E. I hug someone I love. B. I can spend alone time with someone I love — just us. D. someone I love does something practical to help me out. C. someone I love gives me a little gift as a token of our love of concern to each other. B. I get to spend uninterrupted leisure time with those I love. D. someone I love does something unexpected for me to help me with a project. E. I can share an innocent touch with someone I love. E. someone I love puts their arm around me in public. C. someone I love surprises me with a gift. B. I’m around someone I love, even if we’re not really doing anything. E. I can be comfortable holding hands, high-fiving, or putting my arm around someone I love. C. I receive a gift from someone I love. A.I hear from someone I love that they love me. E. I sit close to someone I love. A. I am complimented by someone I love for no apparent reason. B. I get the chance to just “hang out” with someone I love. C. I unexpectedly get small gifts from someone I love. D. someone I love helps me with a task. B. I get to do things with someone I love. A. I hear supportive words from someone I love. D. someone I love does things for me instead of just talking about doing nice things. E. I feel connected to someone I love through a hug. A. I hear praise from someone I love. C. someone I love gives me something that shows they were really thinking about me. B. I’m able to just be around someone I love. E. I get a back rub from someone I love. A. someone I love reacts positively to something I’ve accomplished. D. someone I love does something for me that I know they don’t particularly enjoy. E. I’m able to be in close physical proximity to someone I love. B. I sense someone I love showing interest in the things I care about. D. someone I love works on special projects with me that I have to complete. C. someone I love gives me an exciting gift. A. I am complimented by someone I love on my appearance. B. someone I love takes the time to listen to me and really understand my feelings. E. I can share a meaningful touch in public with someone I love. D. someone I love runs errands for me. D. someone I love does something special for me to help me out. C. I get a gift that someone I love put thought into choosing. B. someone I love doesn’t check their phone while we’re talking to each other. D. someone I love goes out of their way to do something that relieves pressure on me. C. I can look forward to a holiday because I’ll probably get a gift from someone I love. A. I hear the words, “I appreciate you” from someone I love. C. someone I love and haven’t seen in a while thinks enough of me to give me a little gift. D. someone I love takes care of something I’m responsible to do that I feel too stressed to do at the time. B. someone I love doesn’t interrupt me while I’m talking. C. gift giving is an important part of the relationship with someone I love. D. someone I love helps me out when they know I’m already tired. B. I get to go somewhere while spending time with someone I love. E. someone I love touches my arm or shoulder to show their care or concern. C. someone I love gives me a little gift that they picked up in the course of their normal day. A. someone I love says something encouraging to me. B. I get to spend time in a shared activity or hobby with someone I love. C. someone I love surprises me with a small token of their appreciation. E. someone I love touches me frequently to express our friendship. A. I hear someone I love tell me that they appreciate me. E. I get a hug from someone I love whom I haven’t seen in a while. A. I hear someone I love tell me how much I mean to him/her. The highest score for any single receiving love language is 12.